Why I Ate My Wife’s Chocolate Chips. All of Them. I didn’t sleep at all Saturday night. In college, that may have been an exciting statement full of fun and intrigue. In medical school and residency, it was a badge of honor and usually involved clinical challenges and valuable experiences. This past Saturday, it involved consoling my son as he kept throwing up. Changing his sheets, wiping his head with a damp towel, and most importantly, just letting him know I was there and that he would be OK. It is a rite of passage all parents go through, more than once. On Sunday, he was much better and slowly getting back to his usual self. Me? I was hungry and craving carbs. Sunday was a different story. I had the carb cravings and munchies all day. Instead of eggs, veggies, and avocado, I had fruit and granola for breakfast. But didn’t stop there. I still had this crazy craving so I added toast and a banana. Later in the day the cravings really hit. Chocolate. I was craving chocolate like you wouldn’t believe. Fortunately, my wife had some chocolate chips in the freezer. Let’s just say I need to make a run to replenish the supply before she sees what I have done. Without thinking, I polished off what was left in the bag. How could this be? This was all so unlike me. What could have happened? Or more importantly, lack of sleep. Sleep is intimately involved with our hunger and our cravings. As a result, sleep is intimately involved with our weight gain, weight loss and our health. It effects not only our ability to make decisions, but also alters our hormones, our cravings and our feelings. It turns out that inadequate sleep affects our hormones ghrelin and leptin. They sound like comic book villains, but they are hormones that control our feelings of being hungry or feeling full. Ghrelin, the “hunger hormone,” signals to your body that you’re hungry and need to eat. Leptin has the opposite effect, and signals that you’re full and don’t need to eat. Research consistently shows that poor sleep spikes ghrelin and suppresses leptin levels. The result? Poor sleep leaves you feeling hungrier than usual regardless of what you eat or how much you eat. You eat more and expend less energy. Bad combination. Leptin and ghrelin load the gun, our lack of mental clarity pulls the trigger (it’s a terribly violent analogy, but it makes the point none the less). When we are sleep deprived we don’t think with the same level of clarity and with the same emotional control. We tend to react impulsively when we feel hungry. Impulse decisions rarely end in a well-balanced meal of veggies with healthy fats and proteins. More often, the result is standing in front of the freezer, door open, eating your wife’s stash of chocolate chips. Guess what else I did (or more importantly, didn’t do) in my sleep-deprived state on Sunday. I didn’t go to the gym as I had planned. I didn’t get out for a hike or nature walk. I drove to the grocery store instead of riding my bike. I sat and watched a movie with my son rationalizing that he wanted me there so it was OK to plant myself on the couch for an hour and a half. Sound familiar? When we are tired and run down from poor sleep, the rest of our healthy lifestyle decisions suffer. It is the classic ripple effect. And poor sleep can cause it all. Ok. We all know we need more sleep. And there is a laundry list of sleep hygiene techniques that I review in more detail in my book and elsewhere. But life happens. We can’t always prepare for the night of consoling our children. Or the night before a big presentation when we are too excited/nervous/scared (take your pick) to get to sleep. What do we do then? Be mindful and be aware. In this case, knowledge truly is power. Simply being aware that our hormones will be off kilter and our decision making will be impaired gives us the power to control our day. 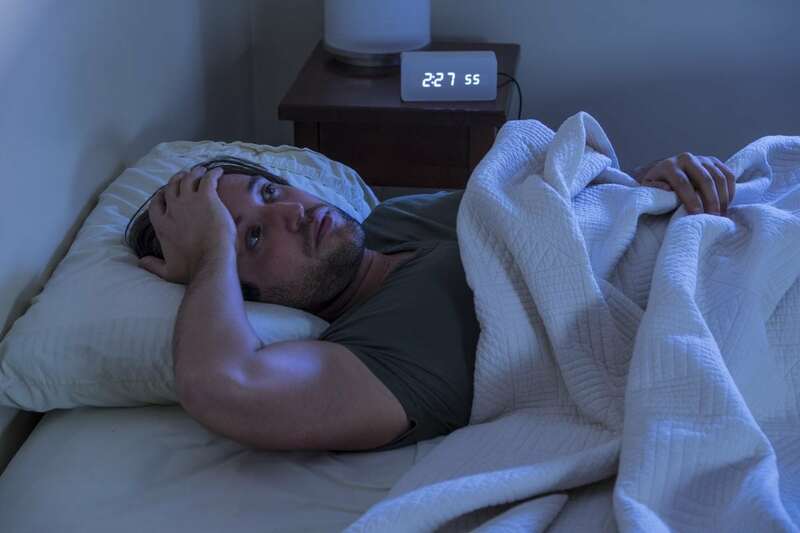 You may need an extra reminder, or you may have to try harder than usual, but staying in the present and being mindful of your decisions is the skill you need to counteract the effects of poor sleep. Instead of acting rashly, take a breath. Step back, breathe and realize you did not sleep well. Remind yourself that poor sleep alters your hormones and your perceived needs. And realize that you can still control these feelings and cravings. When you are mindful, you are in control. It turns out, studies show mindfulness also helps you sleep better. When compared to a group of individuals given sleep hygiene education, individuals who practiced regular mindful meditation slept more and felt more refreshed. So not only does being mindful help you get through your day with minimal damage, it also helps you get back on track. Once again, that’s a pretty powerful effect. If that were a pill you better believe there would be a multi-million-dollar marketing campaign behind it. But it isn’t a pill. It’s free for anyone to do. It’s a skill anyone can try and everyone can improve. Being mindful is like exercising a muscle. The more you practice it, the stronger it becomes. The stronger it becomes, the easier it is to use. You won’t be perfect and it may not always be easy. But I promise you this. Practice being mindful, practice your breathing, and you will be better. Start recording your sleep. Activity monitors like FitBit Alta HR, FitBit Charge, Garmin Vivosport, Mio Slice, the Apple watch and many others all record sleep duration. Or simply record it yourself with a pen and paper (old school). When you get less sleep than usual, make a concerted effort to control your surroundings more. Make a concerted effort to practice your mindfulness techniques more. Treat yourself with more compassion and more love. And make sure you get to bed a little earlier that night to help break the cycle. You can do this. You just need to be aware.